Barefoot Farms is a farm operating out of backyards in Vancouver and a half acre in south Richmond. We get excited about fresh, local and delicious vegetables that are grown with organic practices and a focus on environmentally sustainable and socially responsible methods. 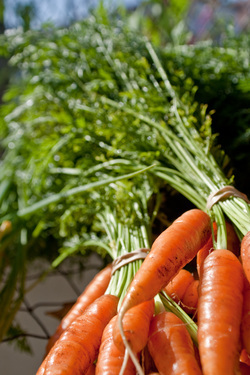 We want to share the joys of our produce with you. We hope you will join us for a magnificently tasty and exciting season.